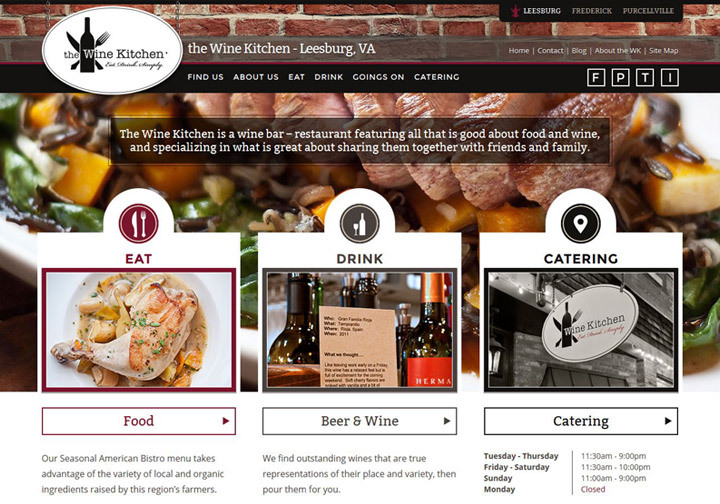 The Wine Kitchen - Wood Street, Inc.
Wood Street had designed the inaugural website for The Wine Kitchen when they opened their first location in Leesburg. 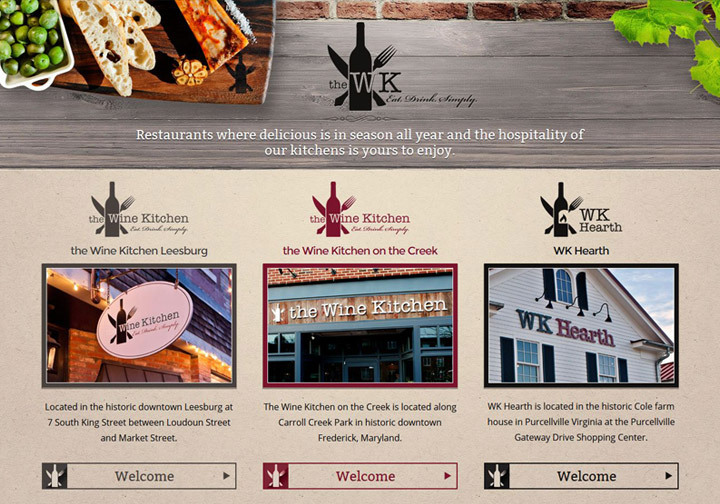 Now with three unique locations, TWK needed a complete online makeover. 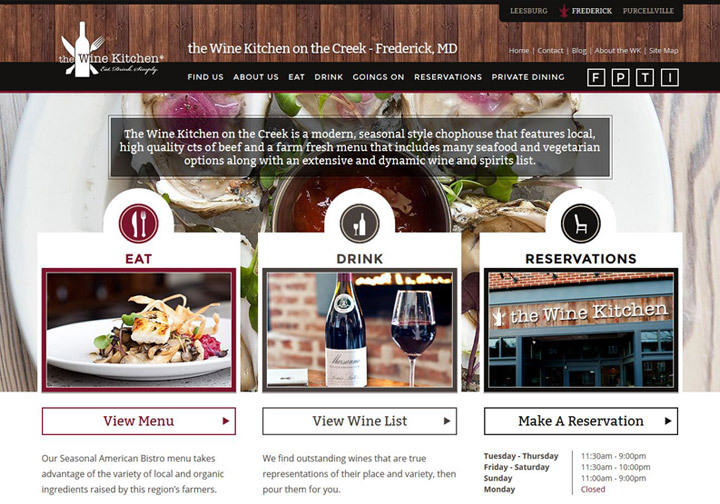 They also needed a better way to keep all three location sites up to date. 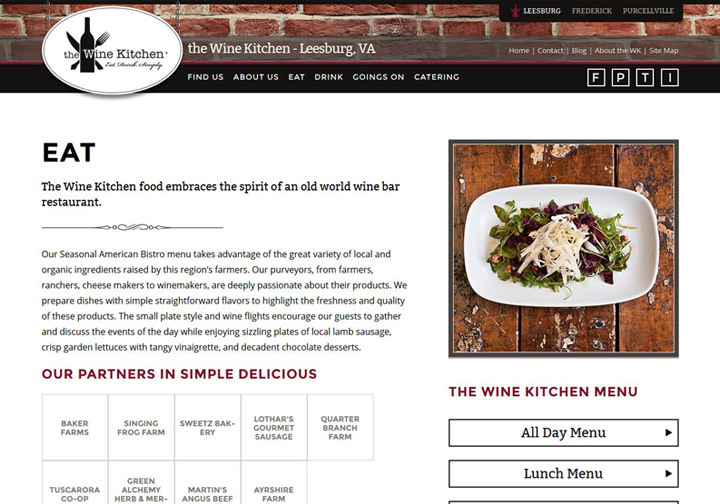 Working again with restaurateur owner Jason Miller, Wood Street designed and developed a completely custom WordPress website. 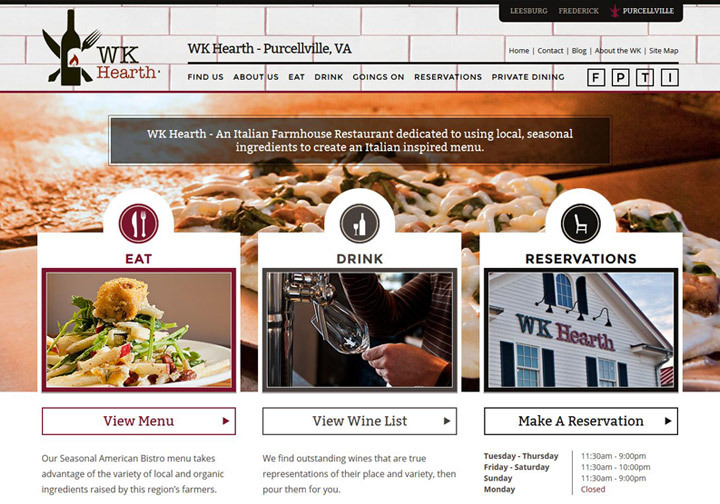 The site has been developed so that each location has its own online marketing space but all are contained in the WK family website. 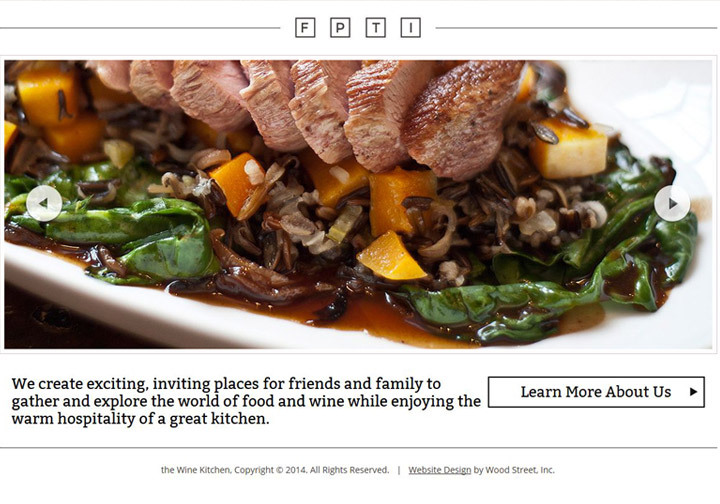 The site is fully responsive and includes an OpenTable API integration for online reservations.